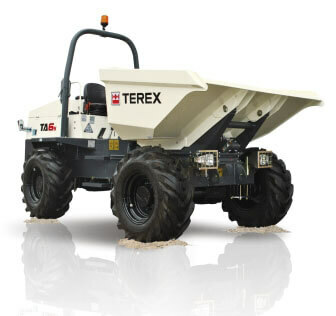 6 Ton Dumpers are the largest swivel dumpers that we do, able to carry 3530 litres and with full 4x4 drive and massive off road tyres these machines can go virtually anywhere. 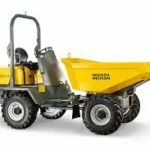 Utilising a swivel skip they are able to tip to the left, right and straight on, and they come with full hydrostatic clutches which means they are fully automatic. 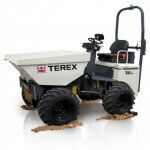 We also now stock 6 Ton Straight Tip Dumpers. Many of our 6 Ton Dumpers are also road legal and come with license plates, indicators and green seat belt beacons to keep you safe and compliant. All of our dumpers come with amber beacons and also green seat belt beacons which indicate when a seatbelt is being worn. We also stock Exhaust Filter Kits for when the machine is required to work indoors. Most of our 3 ton dumpers come with fold down roll over frames and amber beacons. Many now also come with green beacons that indicate that the seatbelt is being worn. 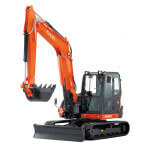 9 Ton Straight Tip Dumpers are great for moving vast amounts of materials or spoil around a site. All of our 9 Ton Straight Tip Dumpers are road legal and come fitted with green seatbelt beacons.